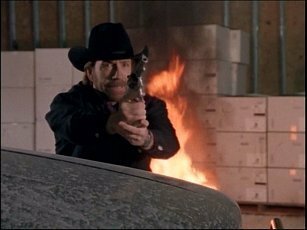 Cool snapshot. . Wallpaper and background images in the Walker Texas Ranger club tagged: chuck norris walker. This Walker Texas Ranger photo contains огонь, пламя, инферно, ад, and огонь. There might also be камин and открытый камин.